Eden Guesthouse is a modern double story Bed & Breakfast overlooking the Indian Ocean and Outeniqua Mountains . Eden derived from the Hebrew word for “The Garden of Eden” signifies pure “delight” as it is situated in a Nature Conservancy hosting examples of coastal and limestone varieties of fynbos and supporting one of the highest numbers of endemic species. Dana Bay is located in the Western Cape of South Africa, west of Mossel Bay, carrying the crown and proud title of 2017 Kwêla Town of the Year . Dana Bay is an easy 30 minute drive from George Airport and is ideally situated for exploring the Garden Route and Klein (Little) Karoo . The picturesque village of Dana Bay offers natural beauty due to its conservancy status and amazing views of the beach and horizon. Nature lovers could explore the rich species diversity in fynbos and birds with the St. Blaize hiking trail . Various small antelope such a bush buck, steenbok, mangooses and Cape francolins can be spotted roaming around. Dana Bay is furthermore, one of the best locations for dolphin and whale-watching. For the more active at heart, Dana Bay provides easy access to golf courses, yachting facilities, water sports and eco adventure opportunities. Un accueil tres chaleureux et Des hotes soucieux de Notre bien-etre. Suzann nous a donne Des renseignements tres precieux. Une reelle volonte d'echange et de partage. Un petit dejeuner pantagruelisque... Tres bonne impression generale. Quiet place, lovely people, break-fast fantastic! Everything about our stay was fantastic--the view and surroundings, hospitality, rooms, cleanliness and food. It was the best holiday ever, we felt right at home and stayed very comfortably The breakfast beats any hotel or food establishments hands down. The best ever and the views are spectacular - we would recommend it to everyone. Very very good and the breakfast can hit the Guinness Book of Records. 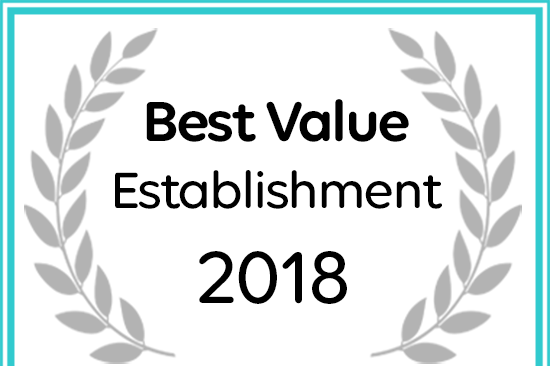 EDEN GUEST HOUSE B&B has been named a Best Value Establishment by Afristay. 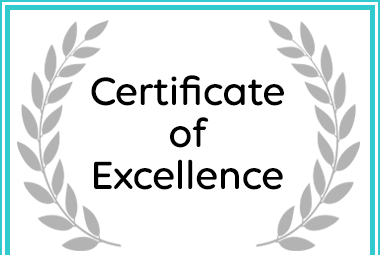 Eden Guest House B&B has received a Certificate of Excellence Award for Accommodation in Mossel Bay.